I take full responsibility. Sara knew it. Joe knew it. I… well I was negligent in spelling negligent. On the other hand it was a great night for the Farmington Public School Foundation who sponsored the event. On the other hand it was a great night for the Farmington Public School Foundation who sponsored the event. It was well attended by people who spell better than I do! 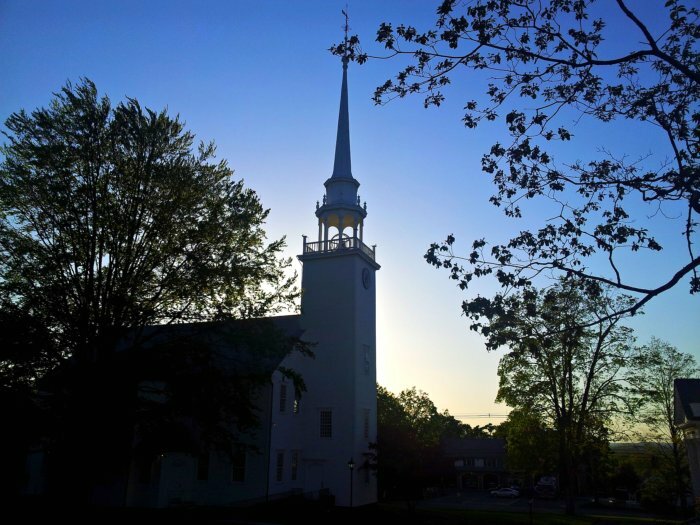 By the way, Farmington continues to be the iconic New England town. As pretty as can be. You mean there is a time and place w/o Spell Check? I wonder if our kids could survive without it. Previous Previous post: How Will Eye Dew?